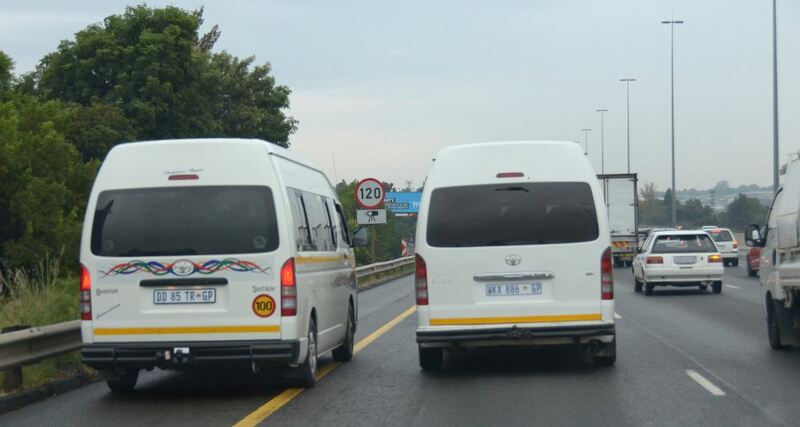 Yellow lane driving…on the increase despite being illegal and the practice needs to be curbed. Says AA.. Despite legislation that prohibits vehicles driving in emergency lanes (yellow lane driving) the Automobile Association (AA) notes that this practice continues, with impunity it appears. The Association conducted informal observational research on this issue and found that many drivers simply use the yellow lane as an extra lane, especially in heavy traffic. “Certain areas are worse than others, but there is a clear flouting of the law by many drivers. In one area in Pretoria, for instance, we noted that more than 200 cars used the yellow lane in an hour and half period between 7:30 am and 9:00 am on a weekday morning. Not only is this practice illegal, it is dangerous as these lanes are designated for emergency vehicles only,” the AA noted. The Association said emergency lanes are there to provide easy access to emergency vehicles such as ambulances, rescue vehicles and police cars, and that obstructing their route could result in people not being attended to on time. Regulation 298A of the National Road Traffic Act states that the only time one is allowed to use the emergency lane is if there is a real emergency. Using the emergency lane as a ‘passing lane’ on a freeway is not permitted, although this is often the case, even on highways. The only exception is for motorists who are traveling on a single carriageway road with one lane in each direction. In this case it is permitted to move into the emergency lane to allow faster moving vehicles to pass. However, the Act clearly states that this can only be done during daytime hours. By law, drivers are required to ensure they have at least 150m of visibility ahead before moving over. This means no moving over on a blind rise, or if there is heavy rain, mist or fog that hinders visibility. “Driving in the yellow lane to pass other cars is an extremely selfish way of driving, and the law must be better enforced than it is at the moment. Once drivers use the emergency lane it becomes another lane on the road, and drivers then have to ‘force’ their way back into normal traffic. This in itself is the cause of much anger among drivers who follow the rules, and may contribute to road rage incidents,” said the AA. Apart from better enforcement, the AA also called on drivers to change their attitudes and obey the laws of the road. Too often drivers justify their actions with a variety of reasons even though they know they are contravening the law. “Every driver wants to get to their meeting on time, be on time for their flight, catch the last half of their child’s sporting event, or get home to their loved ones, but that doesn’t give them the right to make up the rules as they go along. It is the duty of every driver to play by the same rules as every else to avoid a free-for-all on our roads, a situation which is fast developing. We are concerned that this will get out of hand if left unchecked by the authorities,” the AA said. The Association called on traffic police throughout the country to prioritise emergency lane driving and begin dealing with it as a matter of urgency in the interests of the safety of drivers as well as emergency personnel. “Without any action taken against them people will begin believing that there are no consequences to their bad driving habits. It’s time authorities sent a clear message that this behaviour won’t be tolerated,” the AA concluded.